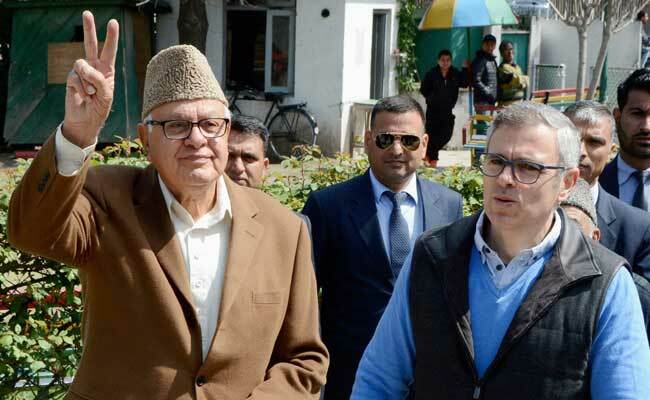 Farooq Abdullah said that the government's decision to hold elections was taken in a hurried manner. "We will not participate in Urban Local Body polls and Panchayat elections unless and until Government of India and the state government clears its position and takes effective steps for the protection of Article 35A in and outside the courts," said Mr Abdullah. ''The central government's plea in the Supreme Court to link decision on 35A with Panchayat and Urban Body elections was a disastrous idea which has further alienated people and complicated situation on the ground," Ms Mufti tweeted. Mr Abdullah said that the government's decision to hold elections was taken in a hurried manner without taking into consideration the prevailing situation created by the powers that be by "unnecessarily fiddling" with Article 35A. "They conveniently ignore that this provision was incorporated in the Constitution after thorough discussion between the then state government and Government of India and was made a part of the Delhi Agreement 1952. It was also approved by the states Constituent Assembly as envisaged under Art 370 of the Constitution," he said.